"Finding a place in the galaxy is tricky when the Watchers are after you." The Gem Traveler by Laural Hill is a sci-fi novel updated every few days. 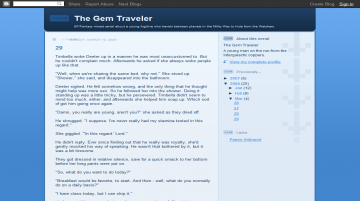 The Gem Traveler has not been reviewed yet. The Gem Traveler has not been recommended yet.